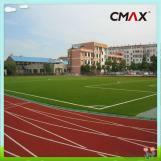 There is no doubt that best artificial turfs are widely used in many places for different purposes. 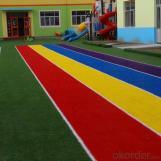 best artificial turfs are consisted of three layers of materials. Basic layer is consisted of compacted soil layer, rubble layer and pitch or concrete layer. It is required that basic layer is stable and cannot deform. Besides, basic layer should be smooth and waterproof. In other words, basic layer is general concrete field. During construction, we should take care of basic layer, as we cannot damage it and we should prevent it from sinking. If we pave concrete layer, we should cut expansion gaps on the concrete layer, in order that we can avoid thermal expansion and transformation and cracks. 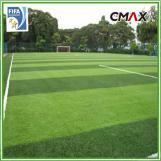 So that artificial grass can maximize its performance. 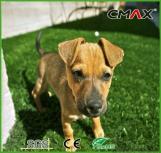 There is a buffer layer above the basic layer of artificial grass. 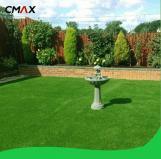 The buffer layer of artificial grass is consisted of rubber or foamed plastics. 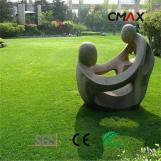 The elasticity of rubber is moderate, while it thickness is between 3-5mm. 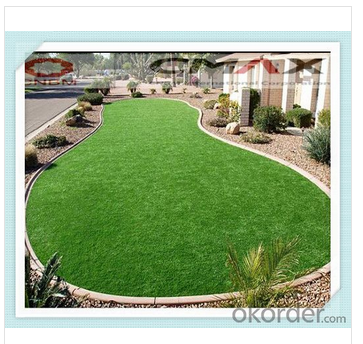 the reason why artificial grass uses foamed plastics is that the cost is low, but the elasticity is bad, and the thickness is between 5-10mm. 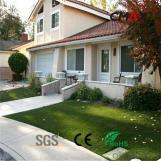 The third layer is also called as surface layer or grass layer. The layer should also be attached to rubber or foamed plastics by latex. During construction, we should totally paste glues on this layer and fasten it to avoid any wrinkles. In foreign countries, best artificial turfs that we often see are two kinds, the first is that the grass layer is leaf-shape and the fiber is thin, only between 1.2-1.5mm, the other is that the grass layer and the fiber are thick, and the thickness is between 20-24mm. 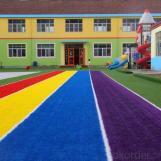 In conclusion, we can know the structure of best artificial turfs.